Free Betty Crocker Recipes and Coupons! 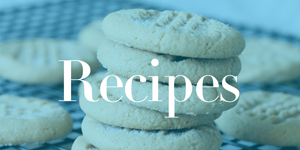 Home / Freebies / Free Stuff Online / Free Samples / Free Betty Crocker Recipes and Coupons! I have some great Free Betty Crocker Recipes and Coupons for you today! Right now when you sign up for the Betty Crocker email you’ll get some great Free recipes and coupon, so don’t miss out. Right now you can grab this great FREEBIE and you can save tons with these coupons, free samples and recipes. I love Betty Crocker Recipes, they’re my the best recipes & they are always really simple and taste amazing. Grab your Free Betty Crocker Recipes and Coupons today! Free Customized Note Pads or Playing Cards at Shutterfly! Free Smoothies at Tropical Smoothie Cafe on 6/19!